Security, security, security! Episode 18 talks about security options for GSFE Admins, but we also talk about the human side. Guest for the show, Donnie Piercey, talks about Google's "Be Internet Awesome" curriculum and how to help our students and staff be a better human firewall. 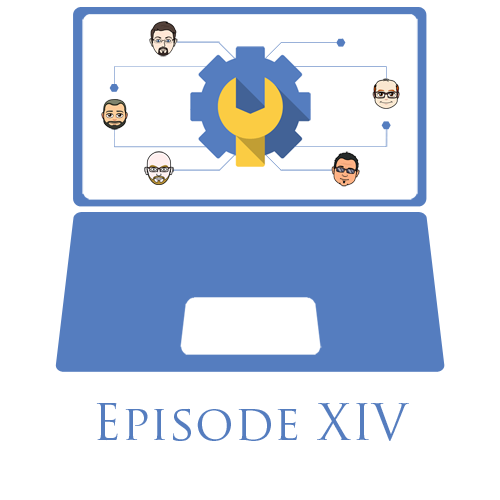 Live from the MidWest Google Summit in the Beautiful Wisconsin Dells, the Admins talk about a brute force attack on staff accounts, the importance of 2-Factor Authentication, new extension controls in the admin console, file migration settigs for Android on Chome, and pre-filled URL's in Google Forms. Live from the Google for Education Admins conference in the Wisconsin Dells, the admins discuss the conference, summer fun in the admin world, and getting ready for the school year. Special guest Tim Lee from Amplified IT will join to discuss Amplified Labs and their handy tools. The Admins discuss what's new, the end of the school year, and maybe a tip or trick. Cody Rice from GoGuardian is their guest this week. Live from Omaha at the NETA Spring Conference, the admins discuss what's new in G Suite and some tips to prepping for the end of the school year. A live recording of the GSFE Admins at the ITEC IT Conference in Nevada, IA. Discussion discussed what's new. Karl brought up his GAM tip of the month http://bit.ly/GAMTips Discussion then moves to the GSFE Admins Google Plus Community and talks about some intereting threads there. Lastly they take questions from the live audience. We took January off, but the GSFE Admins are back with Episode 11 of the podcast. We discuss some new items in the Admin Console (Play Store) and some of the settings in the admin console that may not be what you thought they were.